My Friday cocktail this week, Birthday Cake Martini, is especially made in honor of my dear cousin, Meredith, whose 20-something birthday is today. I don’t like traditional martinis as I don’t like olives but I don’t mind a sweet martini like this one once in a while. 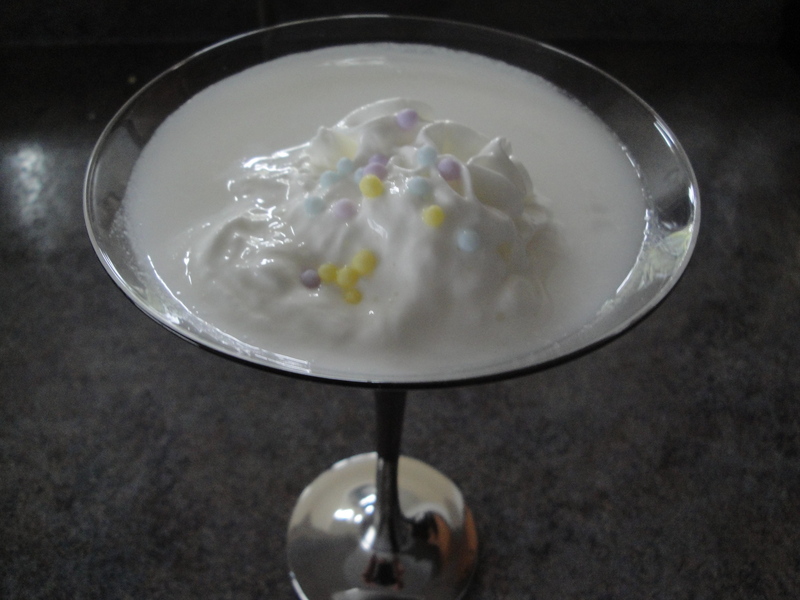 Flavored vodkas are now all the rage and you can get them in pretty much any flavor you want (including whipped cream and cotton candy). 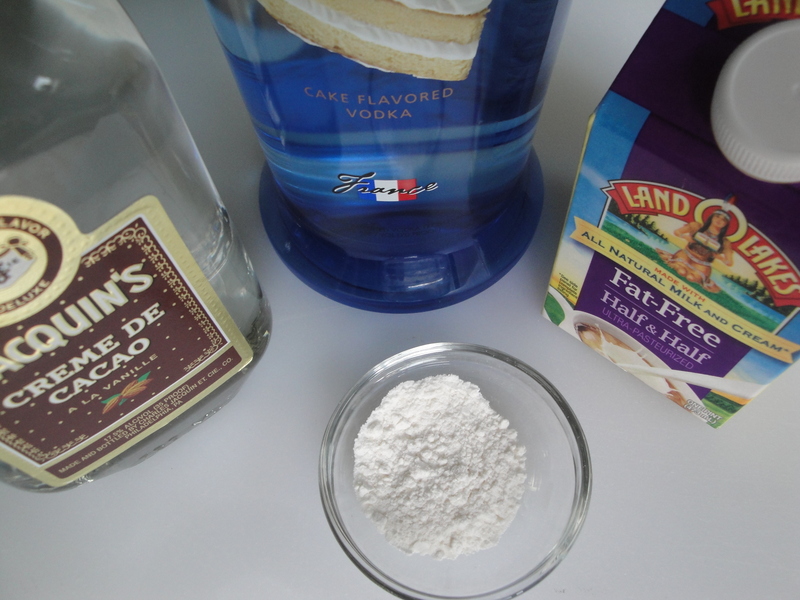 This martini includes cake-flavored vodka, chocolate liqueur, half and half, and a little bit of dry vanilla cake mix. 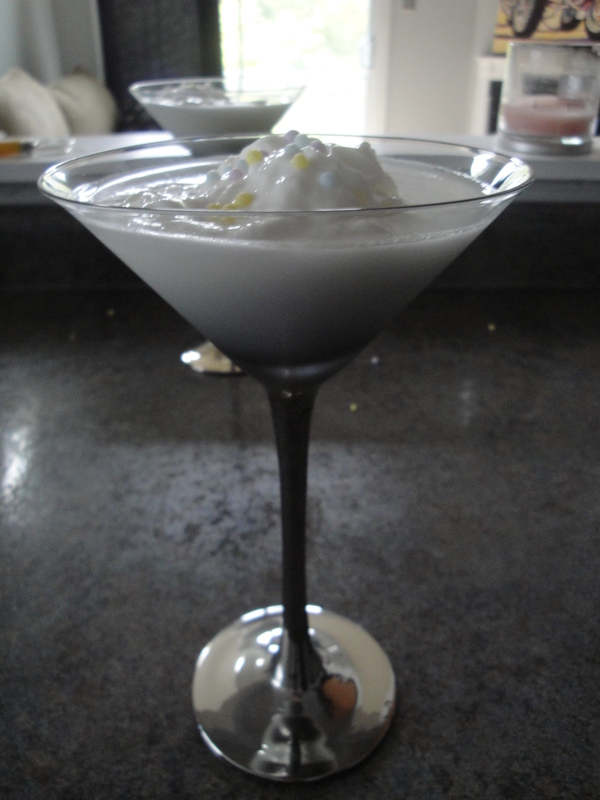 Shake the ingredients with ice, pour into a martini glass and top with whipped cream and sprinkles if you choose. Happy Birthday, Meredith! This one’s for you! Thanks, Shannon! I don’t like olives either, so this looks like my kind of martini. Cheers!